Oh hi. We survived January! Made so much more easier for the fact that the temperatures stayed above zero for the better part of the month. I am so okay with that! So pack your bags. 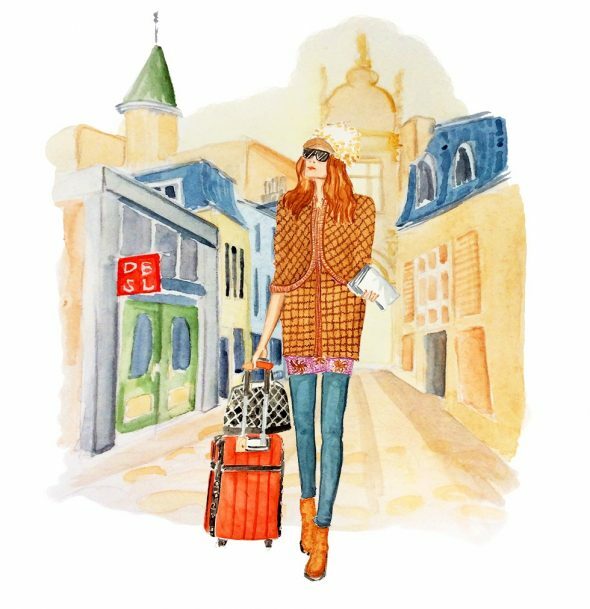 Time to travel somewhere exotic in your faux fur cap and chelsea boots with skinny jeans and whatever else you were able to delicately fold into your adorable red carry on suitcase. Here’s to a new month. This entry was posted on Sunday, February 1st, 2015 at 10:39 pm. It is filed under Ladies and tagged with calendar girls, Design by Streetlight, fashion illustration. You can follow any responses to this entry through the RSS 2.0 feed.